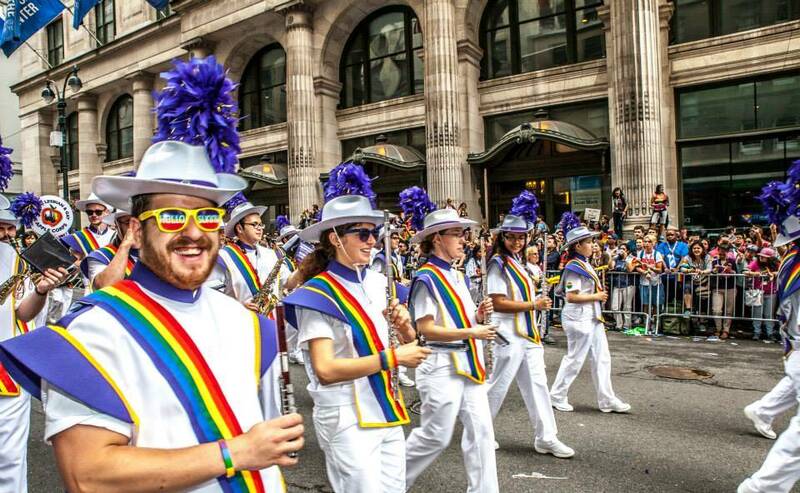 Welcome to The Lesbian & Gay Big Apple Corps! We can’t wait to meet you! Whether you’ve been playing for two months or twenty years, we welcome you to join any one of our award-winning ensembles. There are no auditions, just come and play! Our Symphonic Band has a fall through spring cycle, and rehearses Monday nights. Our Marching Band performs year-round and rehearses on Thursday nights (weekly April–June; monthly July–March). Have questions? Head to our New Member FAQ page for answers! If you saw us marching, what was the parade/event?